ENCINITAS — Battalion Chief Dismas Abelman drove along a narrow, windy road in Olivenhain in a white truck. He sometimes rides through the community to make note of potential challenges that could come up during future emergency response calls. Tapping his breaks and pointing forward with one hand, he encountered one. “See, this private gate isn’t marked on my GPS,” said Abelman. Abelman said it’s a reminder that GPS can’t always be relied on when plotting the quickest route to an emergency call, especially in Olivenhain. He clicked a universal device in fire personnel vehicles that opens any closed gate, and the brown structure swung ajar in some 30 seconds. But that’s a long time for firefighters to have to wait, especially during an emergency. If possible, they avoid any such obstacles. Private gates, speed bumps, confusing roads and unmarked homes — these are common challenges firefighters have to grapple with in the rural community. Two years ago, Fire Station No. 4 in Village Park, located several miles from Olivenhain, was the nearest station, making it more difficult to reach emergency calls in a timely manner. In hopes of cutting down high response times, the council approved Fire Station No. 6 on Rancho Santa Fe Road, a mini-station that opened in fall 2012. “The new station made a big dent in the response times,” Fire Chief Mike Daigle said, adding that traveling shorter distances allows for quicker response times. In 2013, the Encinitas Fire Department’s average response time was 7 minutes and 37 seconds for calls east of Lone Jack Road, according to city data. That’s down from an average response time of around 10 minutes for eastern Olivenhain in both 2010 and 2011. Back at that time, Olivenhain residents frequently spoke out at City Council meetings, bemoaning how long it took firefighters to reach their neighborhoods. Shifts at Station No. 6 were primarily covered by overtime hours for about a year. Last July, the city assigned three full-time firefighters to man the station, increasing coverage from 12 hours to all day. Daigle noted that having full-time firefighters helped contribute to the 2 minute and 23 second decline. The improved time is in line with projections that were in place prior to opening the mini-fire station, he noted. While improved, the times still fall short of the city’s target. Encinitas firefighters have a goal of arriving at emergency calls within 5 minutes or less, 80 percent of the time. “I anticipate it improving every year in the area,” Daigle said. To bring about a further reduction, he said it’s key that firefighters continue to constantly drive through Olivenhain and familiarize themselves with the community. Also, Daigle noted how new technology, like breathing apparatuses that are easier to put on, will likely decrease the response times. Other small changes that he expects will yield quicker responses: the department launched a campaign encouraging Olivenhain residents to ensure their addresses are visible in the dark of night. And the department is always looking for ways to better position equipment to get firefighters out the door faster, he said. From burning buildings to cardiac arrests, city firefighters are the first responders when a resident dials 911 for an emergency in Encinitas. Medical incidents, not fires, represent 84 percent of the department’s calls, according to city data. Time is precious during an emergency. For every minute that CPR is not provided after sudden cardiac arrest, the chance of survival decreases 7 to 10 percent, according to statistics from the American Heart Association. And Daigle noted the rule of thumb is that a typical house fire doubles in size every minute. Elsewhere in Encinitas, the western part of Olivenhain averaged response times of just above 5 minutes in 2013, down from 6 minutes and 34 seconds in 2010. Old Encinitas has the lowest response times in the city, with 4 minutes and 2 seconds. 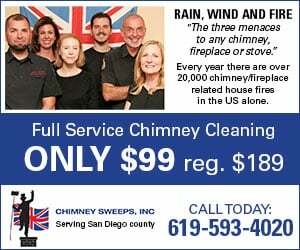 Cardiff came in at 4 minutes and 41 seconds, Leucadia at 5 minutes and 28 seconds and New Encinitas at 4 minutes and 20 seconds. The station’s operating budget is $883,000 for this fiscal year. Councilman Mark Muir, a former fire chief, said the decision to approve the station required balancing differing viewpoints. Compared to other areas, Olivenhain’s population isn’t expected to grow much and it doesn’t receive a high number of calls — reasons some didn’t see the need for a fire station there. But on the other hand, residents stated the high response times alone warranted increased coverage. “I think the mini-station was a good compromise,” Muir said, adding that the City Council should keep its eye on the times to see if further action is necessary. 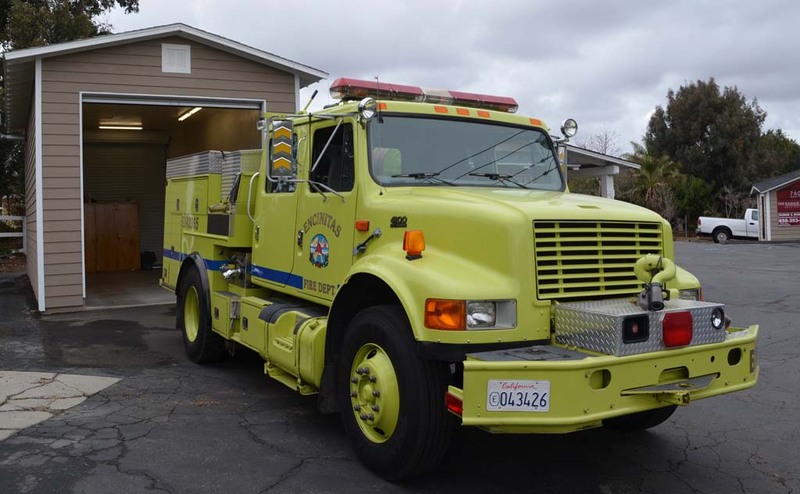 Tom Swanson, a resident who was among those who pressed the city for new fire infrastructure in Olivenhain for years, said locals are pleased with the new mini-station. “It should have happened much earlier, but we’re happy it’s finally there,” Swanson said. Before the mini-fire station debuted, Swanson, who lives on Copper Crest Road, said responders took too long to reach calls. Two separate incidents, a nearby house fire and a child who was struck by a car, stick out in his mind. While standing in station No. 6, firefighter Chris Sayer said Olivenhain residents have shown their appreciation by dropping off cookies and other items in the last year. “They’ve been so appreciative here, more so than anywhere else in the city,” Sayer said. The station, complete with dorm rooms, a small gym, kitchen and a garage housing a fire engine, always has two firefighters on shift in the event of an emergency. When not responding to calls, firefighters have a host of duties to keep them busy. A few of those: additional training, station maintenance, inspecting businesses’ fire plans and checking to make sure fire hydrants are working around the city.